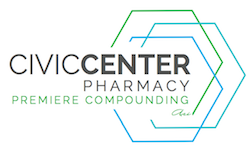 Our compounding pharmacy can help athletes, coaches, trainers, team physicians, physical therapists, and even the “weekend warrior” stay on top of their games! Adolescents, aged 13-15, account for the majority of sports injuries in youth. Tailoring treatment to the patient’s age and life style is important in order to promote prompt healing and decrease the chances of repeat injury. We can customize medications for problems that are often unresponsive to conventional therapy.Analgesics and anti-inflammatories often have side effects, such as drowsiness, that are problematic for an athlete of any age. We can compound medications in topical dosage forms that are absorbed through the skin and provide relief directly at the application site while reducing undesirable effects that can hamper performance. Odorless and easy-to-apply creams or gels can be compounded using the most appropriate types of medications based on the individual’s specific needs. The use of compounded topical therapy can play an important role in getting adolescents back in the game! Adv Ther. 2009 Dec;26(12):1072-83. Epub 2010 Feb 4. New therapeutic approaches for management of sport-induced muscle strains. Studies, including a large meta-analysis, have described the advantages of topical vs. oral NSAID therapy. These include high tissue levels of medication at the site of injury, with minimized systemic side effects, such as stomach upset and drowsiness. J Pain Symptom Manage. 2007 Mar;33(3):342-55. Topical agents for the management of musculoskeletal pain. To avoid the risks of COX-2 inhibitors, our pharmacy can compound topically applied NSAIDs such as ibuprofen and ketoprofen. Topical NSAIDs have a safety profile which is superior to oral formulations. Topical NSAID administration offers the advantage of local, enhanced delivery to painful sites with a reduced incidence of systemic adverse effects.Topical preparations can be customized to contain a combination of medications to meet the specific needs of each patient. Topical NSAIDs for Acute Pain“Topical non-steroidal anti-inflammatory drugs have a lower incidence of gastrointestinal adverse effects than the same drugs when they are taken orally. The low incidence of systemic adverse effects for topical NSAIDs probably results from the much lower plasma concentration from similar doses applied topically to those administered orally. Topical application of ibuprofen resulted in measurable tissue concentrations in deep tissue compartments, more than enough to inhibit inflammatory enzymes.” Topical NSAIDs have not been associated with renal failure. Non-steroidal anti-inflammatory drugs and hospitalization for acute renal failure. AAPS PharmSciTech. 2010 Mar;11(1):154-8. Epub 2010 Jan 20. Ketoprofen absorption by muscle and tendon after topical or oral administration in patients undergoing anterior cruciate ligament reconstruction. Minerva Cardioangiol. 2008 Oct;56(5 Suppl):47-53. Management of uncomplicated ankle sprains with topical or oral ketoprofen treatment. A registry study. Cochrane Database Syst Rev. 2010 Jun 16; 6: CD007402. The method of preparation and quality of ingredients used for solutions or gels for iontophoresis or phonophoresis are critical to the success of the therapy and minimizing side effects. Promotion of second intention wound healing by emu oil lotion: comparative results with furasin, polysporin, and cortisone. Hyperhidrosis therapyExcessive perspiration is a concern for many athletes, as well as members of dance teams and marching bands. Numerous topical treatment options exist. Craniofacial hyperhidrosis successfully treated with topical glycopyrrolate. Propantheline bromide in the management of hyperhidrosis associated with spinal cord injury.